Enjoy Star Wars: The Force Awakens at Buttercup Park on Saturday evening. Free of course! The Facebook Event Page is here. 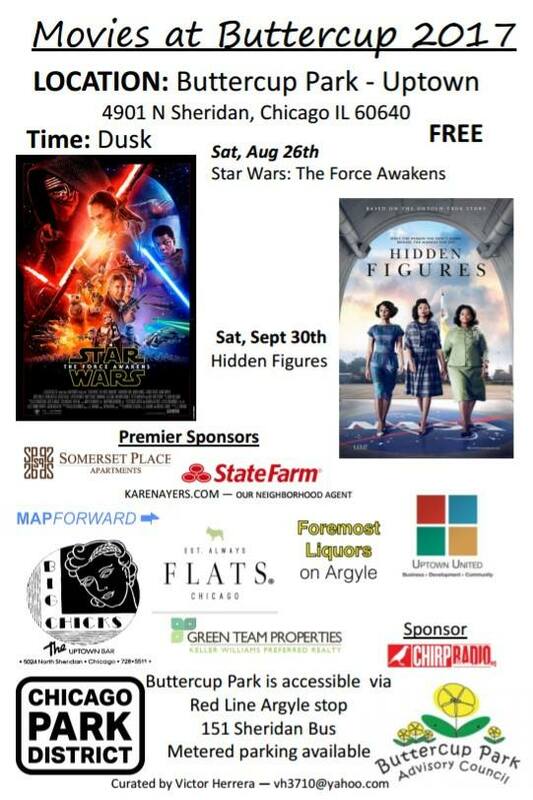 Then save the date for Hidden Figures on Saturday, September 30th. Thank you to all the event sponsors and curator Victor Herrera for a wonderful summer of movies.